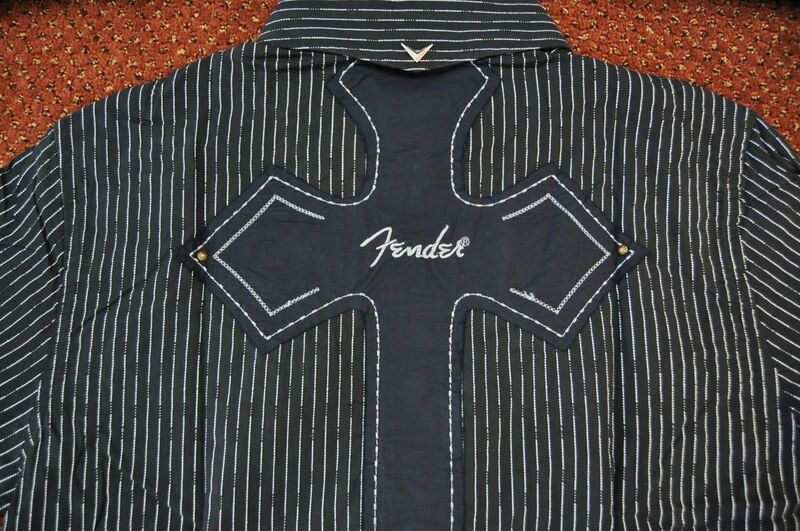 Perfect for the stage, music video, television interview, or just a night out... Fender® Custom Shop Clothing is made for the Rock Star in you!! 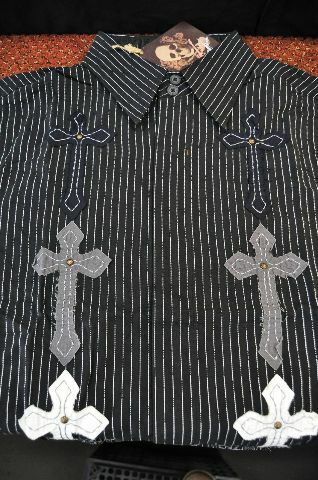 This short sleeve shirt features both embroidered and studded sewn-on crosses, custom Fender buttons, and a metal Custom Shop "V" on the back of the collar. It is made of 100% pre-shrunk cotton. 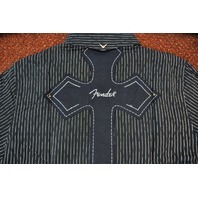 Our products are hand sewn and each item is individually laundered for fit and comfort. 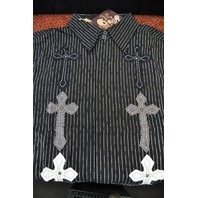 The imperfections and inconsistencies in this garment's finish are intentional and add to it's custom feel and wearability. LIMITED QUANTITIES/SIZES AVAILABLE. Please check SKU Descriptions for availability.